Chemical peels can enhance your appearance by reducing blotchy and uneven pigmentation, fine lines and wrinkles, freckling, age spots, sun-damaged skin, and acne scars in a relatively brief measure of time with little to no down time. Chemical peels accelerate the production of new cells. Enjoy fresh smooth skin immediately after your first treatment. To better prepare for your peel, Ibuprofen taken 30-45 minutes prior to your service helps to reduce the chance of headache. If you are prone to cold sores start using your medication one week prior to peel. Any Rx medications, that are taken on a regular basis, as well as Caffeine, can cause some skin sensitivity . 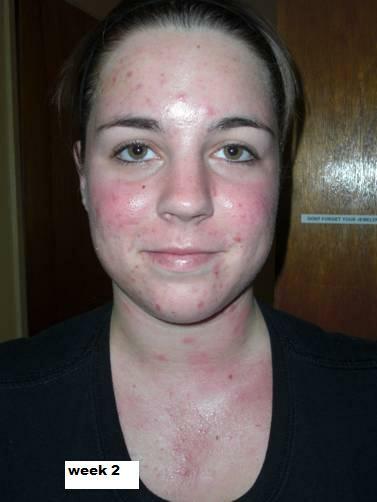 It is important that you follow up in 10 days with an exfoliation treatment for nourishment of your skin. TCA is an amazing chemical that penetrates deeper than Glycolic Acid while allowing for measurable and controllable effects to the skin. Most chemicals preclude olive and darker skin types. Virtually all DERModality™ Peels have been developed for ALL SKIN TYPES. These peels allow for a uniform and controlled shedding of several layers of dead skin. Depending on the nature and depth of the peel, a significant number of layers can be exfoliated allowing new growth to be exposed, creating a fresh vibrant appearance. Are you looking for dramatic results for younger looking skin? The Jessner peel is an extremely effective deeper treatment for exfoliating the top layers of the epidermis. The result is a regenerating effect that gives a smooth, re-textured skin not typically achieved with glycolic or lactic acid peels. The intensive brightening peel is an excellent treatment for age management. It reduces hyperpigmentation and brightens your complexion after just one treatment. Enjoy instant smoothing and brightening results with no downtime.​ Ideally performed in a series of three, approximately 4-6 weeks apart, or quarterly as maintenance. Are you looking for a younger, overall firmness, healthier rejuvenated skin? No matter what your skin type or concern, this advanced vitamin A treatment is considered to be a superficial peel, but is typically deeper than glycolic, salicylic, or lactic peels. It produces results that last longer than AHA Peels. Also, if the client is contraindicated to the Jessner peel treatment, this is a fantastic alternative! The Retinol peel progressively exfoliates, lifts and smooths hyper pigmented aging, mature, acne scarred, poor textured skin types. There is no down time required and make-up application may be applied the following day. The peel is suitable for all ethnic African, Hispanic, Middle Eastern, Indian, and Caucasian skin types. Ideally performed in a series of three, approximately 4 – 6 weeks apart, or quarterly as a booster. SERIES OF 3 PEELS RECOMMENDED. Routine facials are like working out; we do not see results immediately, but with consistency and time the results pay off. The final product appears toned, firmed, and lifted; you feel better and look better. In order for skin to look and function at its best, maintenance is needed. From beginners to experienced, men or women, I can help you achieve the results you want. Each facial comes with a gentle cleansing, paraffin Hand dip with arm and hand massage. Individualized mask for your skin type or LED Light Therapy. **Custom facials also include:** light face, neck, shoulder & scalp massage. These treatments are excellent for age management and effective in releasing dry dead skin and blackheads while clearing lower grades of acne prone skin. Reduces hyperpigmentation and blemishes/scarring. Enjoy instant smoothing and brightening results with no downtime. These rejuvenating facials replenish the skin with much needed moisture. As your skin is cleansed, exfoliated, and massaged, enzymes are used throughout to encourage the skin to self-rejuvenate and stimulate the formation of collagen to tighten and tone the underlying tissues of the skin. There are two simple underlying causes of skin aging: lack of nutrients and dehydration. As you age, your skin loses the ability to produce the nutrients that protect it from the damaging effects of things like the sun’s UV rays, pollution and free radicals. It also loses the ability to hold water in its cells. As a result, the skin begins to lose its firmness and elasticity, leading to wrinkles, sagging and dryness. 2) keep water in your skin cells . With an infusion device we infuse aqua, Growth Factors and peptides directly to the areas that need it the most? Growth factors boost skin cell growth. When applied topically, growth factors are one of the best active ingredients for total skin rejuvenation. In fact, growth factors communicate with your cells to create more collagen and elastin, which keep skin smooth and firm for a healthy, youthful complexion. Peptides form a chain of amino acids that become proteins. When they are in a short chain they are able to penetrate the top layer of our skin and send signals to our cells to let them know how to function. Collagen, Hyaluronic acid and elastin are proteins, so including peptides are key to anti-aging. Pure Aqua is designed to deeply cleanse while hydrating and soothing the skin. It fights dry skin, wrinkles and aging by hydrating the skin directly. Pure Aqua is ideal for all skin types. Ageless Pure Aqua Hydration Maintenance:... $75 (inc. Cleanse, Aqua exfoliation, extraction and Moisturizer). Ageless Pure Indulgence Facial:..................$175 includes Vit. C peel, Mandelic peel, Pumpkin peel or Brightening peel, light face, neck, shoulder & scalp massage, Aqua exfoliation, Oxygen infusion with Growth Factors or Peptides (add a Collagen, Vit. C or Hyaluronic Acid Boost for $25) and an Individualized mask for your skin type or LED Light Therapy. Oxygen Facial:...................................... $125 includes a gentle cleansing and exfoliation, paraffin Hand dip with arm and hand massage, Oxygen infusion with Growth Factors or Peptides (add a Collagen, Vit. C or Hyaluronic Acid Boost for $25), Individualized mask for your skin type or LED Light Therapy. Nano Needling/Micro Current: include a gentle cleansing and exfoliation, LED light therapy and moisturizer. 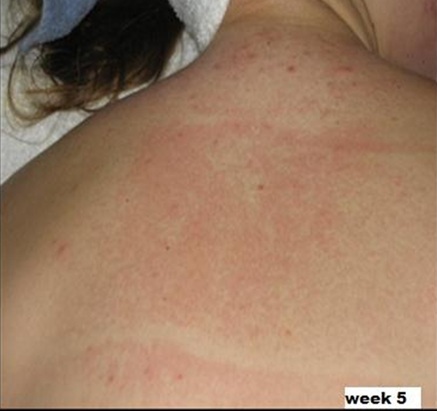 Micro Current Treatment w/Oxygen Infusion:. Anti-Aging: (Collagen) - Helps the skin cells renew and repair themselves. This essential protein provides elasticity to the skin, helping it to appear more youthful and healthy. Brightening/Anti-oxidant: (vitamin C) - Out of the many beneficial forms of vitamin C, ascorbic acid is a superstar for its proven antioxidant properties that boost firmer-feeling skin.​ This powerhouse ingredient is backed by research for dramatically brightening and evening skin tone. This treatment is great before a night on the town or a special event like a wedding for that new bridal glow! Can be added to a facial treatment or alone it is wonderfully uplifting; it consists of oxygen and peptides; which are sprayed onto the skin and neck to give you a dewy glow! This process stimulates the skin while promoting and restoring balance. The benefits to the skin are hydration, energy and rejuvenation. 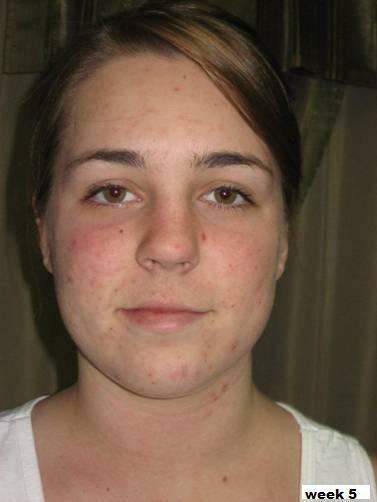 Blue Light for Acne: When P. acne bacteria builds up in pores, skin becomes inflamed, causing acne lesions and blemishes. led light therapy works safely and effectively, without abrasive chemicals, harmful UV-rays or side effects, to destroy this acne-causing bacteria — not only clearing up existing blemishes, but preventing future breakouts before they happen. In just minutes a day, you’ll be on your way to a clearer, smoother, more radiant complexion. Red Light for Anti-aging: In just minutes a day, you can reduce the appearance of fine lines and wrinkles, while experiencing an improvement in skin texture, quality and smoothness. Using wavelengths that are scientifically proven to stimulate fibroblasts to increase collagen and elastin, led low-level light therapy is a safe, effective and convenient way to achieve a healthy, youthful glow in a natural, non-toxic, non-invasive manner. The Perfect Pout Collection combines 22 Organic Extracts along with Patented Peptides, Antioxidants and Two Types of Hyaluronic Acid to naturally plump the lip contour, infuse hydration and protect against sun damage — all in one. A local application of Phytomer’s warm, bubbly seaweed mud helps to relieve muscle tension and stress in your most over worked areas. Target your choice of: lower back or spine. Macadamia oil mimics youthful sebaceous oil and replenishes essential OMEGA 7 acids. Skin recognizes macadamia oil and rapidly drinks it in. Phytosterols,(plant cholesterols) act like cortisone to provide anti-inflammatory relief, reducing itching, redness and inflammation. Linoleic Acid locks in your skin's moisture. Squalene relieves chapped and cracked skin. During this anti-aging body treatment, A highly active gel wrap is applied and then massaged, in order to firm the skin, tighten tissues and combat skin slackening. Every detail is looked after while cocooned in firming body gel that’s rich in anti-aging sea minerals, where time is no longer on your mind, skin toning extracts are absorbed. The firming elixir immediately hydrates, tightens and stimulates the skin. This treatment will leave your body at ease and your skin deeply nourished and satin-smooth. After repeated use, a long-term anti-aging effect will be noticed on skin lacking in elasticity.